Tyvon Branch was excited about this new season and eager to contribute. After missing almost all of last season with an injury, the Raiders’ veteran safety was eager to be a part of what he hoped would be a turnaround season in 2014. But a foot injury suffered in the team’s loss to the Patriots in Week 3 has ended his season, and now the Raiders are going to have to go to Plan B at safety, beginning this Sunday against the Miami Dolphins in England. Branch, at least, is taking the news philosophically. Both Branch and wide receiver Rod Streater are scheduled for surgery after suffering fractures in their feet in the loss to the Patriots. In the meantime, veteran Usama Young will step in for Branch, just as he did last year. There will be some dropoff, but Young showed in 2013 that he’s a capable backup. 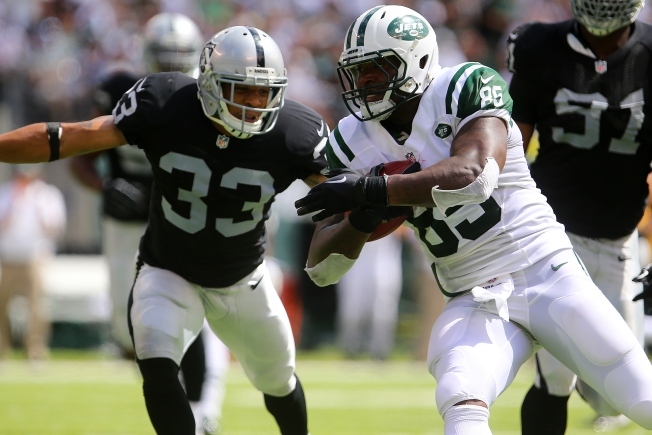 The Raiders also have claimed safety Brandian Ross off waivers from the Dolphins. Ross was in training camp with Oakland and also with the team last season.